The scream was real. 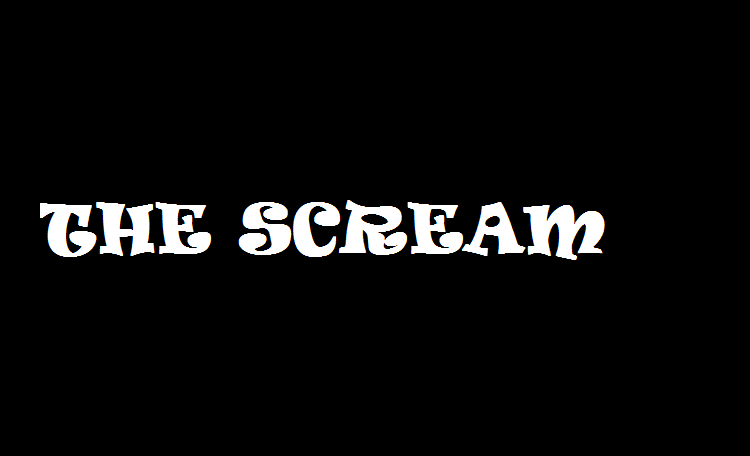 It wasn’t a fake scream, a Hollywood production scream, or a dream scream created by my own hyperactive brain cells. It was an audible scream, not a scream indicating physical pain nor a scream openly proclaiming terror. It was a scream revealing emotional pain so real and so great it could no longer be contained. I turned immediately to seek out the source of the scream, my hero wannabe hormones kicking into high gear. Emerging from the alley I had just walked past in the horribly misnamed slums of La Paz (The Peace) in Guatemala City, came a woman in her late teens, or mid-forties or her fifties. Her hair was long and tangled in filthy and unintentional dreadlocks. Her face was dirty, almost muddy looking; from what, I have no idea. Hours of crying in the never-cleaned alleys of the slums? I don’t know, but the muddy streaks on her wet face were not from running mascara. She wore a mottled brown-gray T-shirt which someone had originally purchased as a black garment but which was now dust and dirt covered in a modern, urban-poor camo. Her pants were orange, or probably had been at one time. As was her face, the pants were muddy–very muddy–but the ingredients making the mud were obvious; she had wet herself. Both her front and back and both thighs down to her knees were very wet, very dirty, very muddy. If misery could be painted in a paint-by-number kit, the misery in this scream would have only one number, only one color – deepest, darkest, lightless black. The desperation in her scream stuck in my ears and is now stuck in my mind, and it is hurting my heart. I cannot begin to fathom the depth of agony revealed in that scream. Was she screaming at something that had just been perpetrated on her by some depraved man? Did her wet pants reveal to her the kind of life which lay before her? Did she scream because she had come to understand that she was living her future now and that barring purposeful, directed, divine intervention she was destined like water to always keep going down, down , down, down until there was no place farther to fall? She stumbled a few more steps and lurched her way into a house that opened to the dirty street I was on. She was gone, but the memory of what I saw and what I heard this afternoon is not. I hope it never totally goes away. I want to remember this moment as a reminder of what Jesus sees when he looks at the world. I heard and saw the misery of that one moment, that one tiny slice of time. Jesus looks down and he sees all the components which when assembled birthed this scream – the neglect, the abuse, the brain altering pseudo-escape of drugs, the corruption of the ruling class, the greed of many, the men who selfishly took from this young woman over and over again that which was not theirs to take. I am now in the position to do something about cases like this, perhaps not this particular case, because it is now part of Earth’s tragic history. But there are many other cases, billions of them, as many as there are people on this planet, which have yet to occur but which are preventable if we who are followers of Jesus will simply obey and do what he has told us to do. Jesus tells us in Luke 19:10 that he came to seek and save that which was lost. He did not come to create a religious hierarchy, content with maintaining itself in a diabolical status quo of comfort, of spiritual hedonism or of the self-delusion that religious activity is enough. He came to save those who have screamed, are screaming and are about to scream. And he chose you and me to be his instruments to silence the screams, not by muffling them or ignoring them but by serving those who are hurting so they will have no need to scream. I never intended to use my blog as a platform for doing my real job, the one I get paid to do, but I’m going to do so right now. I am an executive with a non-profit agency which sends workers around the world to start churches, hospitals, schools, and ministries that care for the environment, serve victims of human trafficking, and carry out many other ministries of love and compassion. Let’s work together to silence the screams. Go to TEAM.org and learn how, if you are a follower of Jesus, you can have a role in silencing the screams. Thank you. I followed up a bit on the woman who screamed. Through a Christians social worker I learned that the woman is in her early forties. She is permanently disabled because of her drug consumption. She has five children, each of whom was taken from her by the authorities. She scores her drugs by bartering for them with her body. The men with whom she “does business” are the scavengers who spend their days in the city dump. We live in comfort and yet we complain. We just don’t know what real tragedy and suffering is all about.